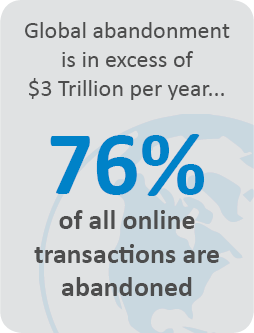 Optilead specialize in cart abandonment recovery solutions for online e-commerce websites. Our software lets businesses reconnect with lost online sales in real-time, using a range of re-engagement channels, in order to maximize revenue. We use telephone, email and SMS to contact visitors that have dropped out of the online process. Our results show this is the most successful method of remarketing, as it allows businesses to prioritize and target different types of leads. 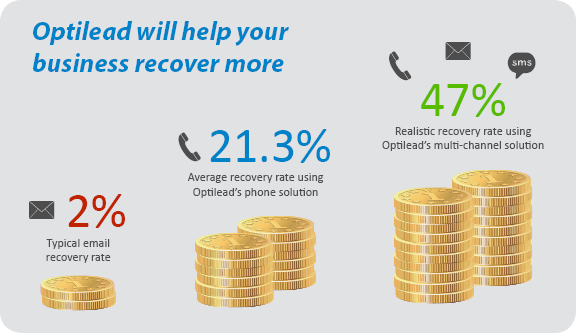 Shopping cart abandonment is inevitable online, but using Optilead’s recovery software, businesses can dramatically improve conversion rates by helping customers complete the process. Optilead’s shopping cart abandonment recovery software is unique. Using a multi-channel approach, we help you retarget your most valuable prospects and convert abandoned carts into paying customers. Our real-time remarketing system recognizes when people leave your website and uses a combination of phone, email and SMS to reconnect you with them.